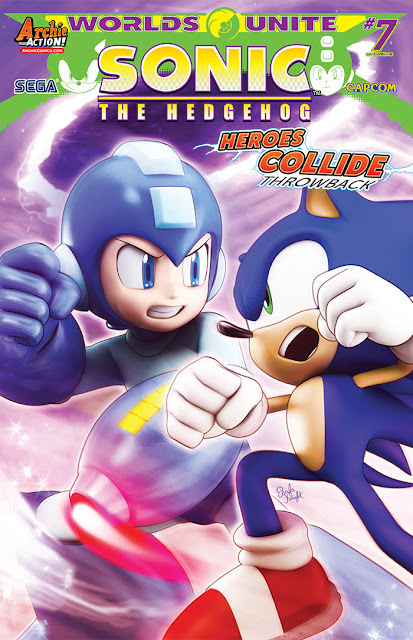 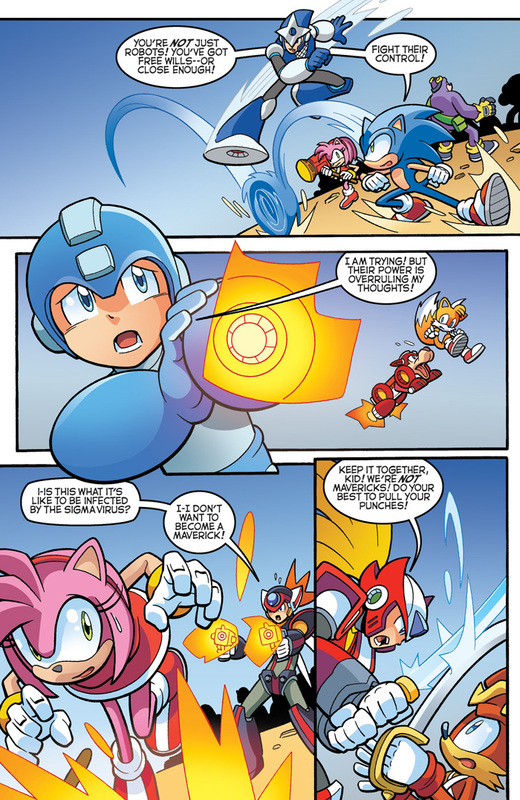 The heroes of the SONIC/MEGA MAN crossover event: AT WAR?! 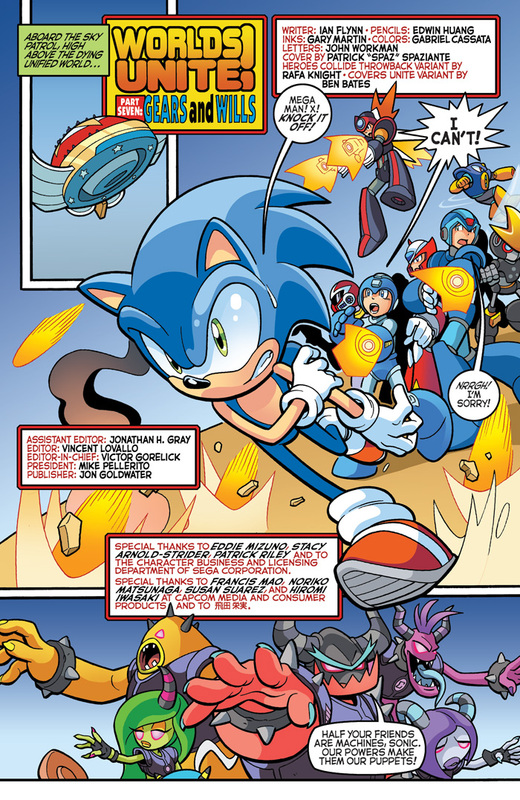 “Worlds Unite” Part Seven: The unified army is not so unified anymore! 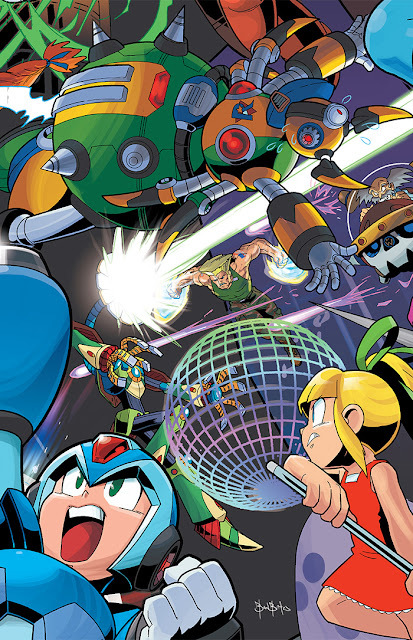 What has driven Mega Man, X and their robot companions to attack Sonic and the Freedom Fighters? Drs. 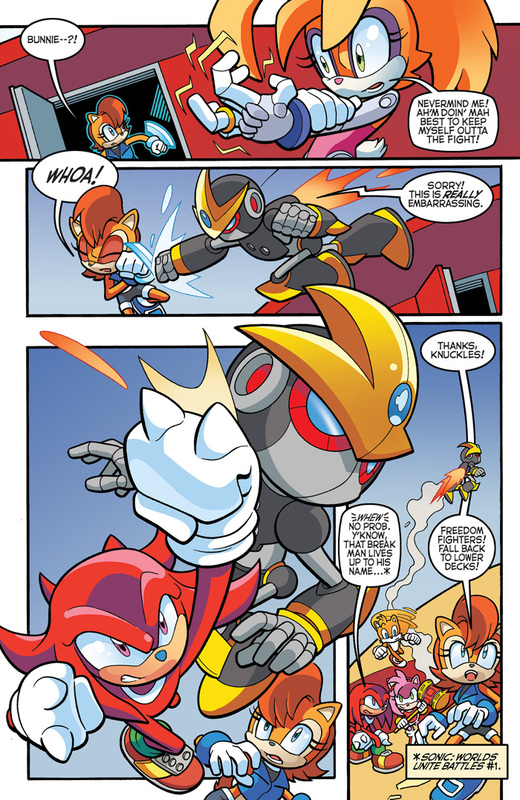 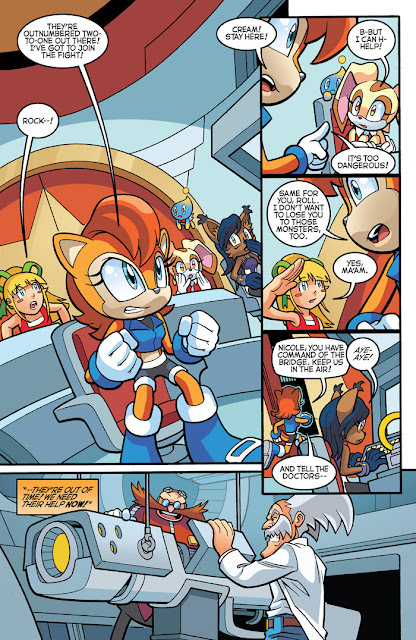 Eggman and Wily may have the answer! Or a weapon. Could a weapon be the answer? 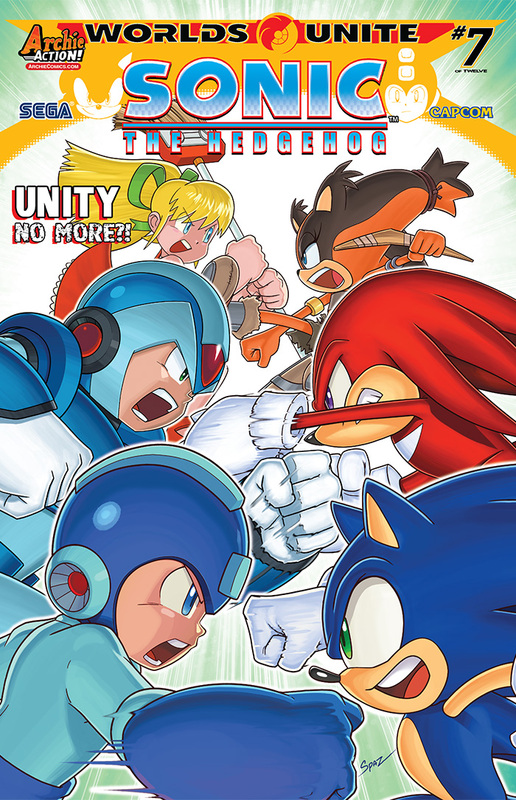 Or is it more trademark treachery? 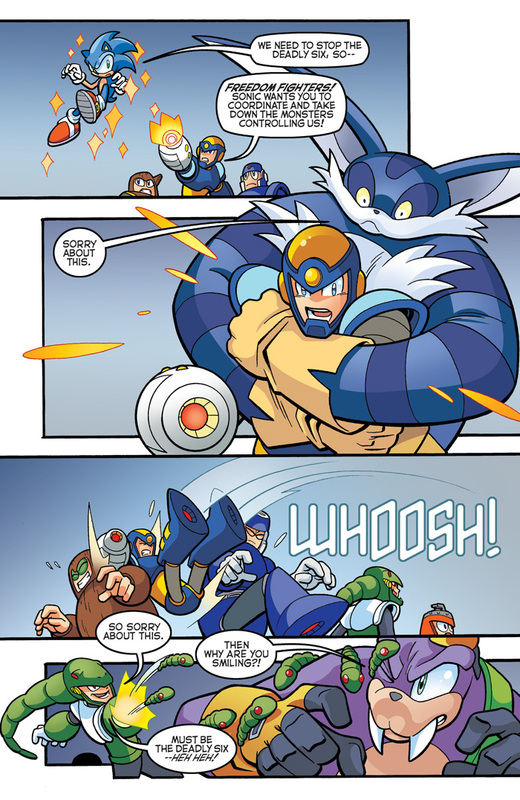 Meanwhile, Sigma grows in power, preparing for the next phase of his master plan! And speaking of masters, this issue features cover art from master-artist Patrick “SPAZ” Spaziante, a Heroes Collide Throwback Variant cover from Rafa Knight and part 7 of the epic 12-part connecting variant cover series by artist Ben Bates!